The FIFA World Cup is approaching and it’s really getting us into a competitive spirit which is why we’ve decided to host the world cup of sports video games as part of our World Cup season celebration. Like athletes, not all sports games are made equal – some just perform better than others. And sometimes we just have loyalties we can’t explain. 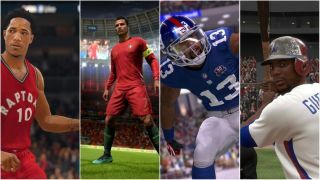 Day by day, you've been voting to help us narrow down some of the biggest and best names in the sports game world, all in the name of crowning the champion and awarding one franchise the title of Best Sports Game. After more than 2600 votes across our competition we now have a winner. You, our readers, all voted and you've crowned Gran Turismo the the ultimate winner in our World Cup of Sports Games with a strong 63% of the vote. We want to thank you for taking part in our World Cup - we hope you're ready for the real thing!